AdWords provides valuable insights into campaign performance such as ad impressions, clicks, clickthrough rates etc. However, AdWords tracking can help advertisers achieve a lot more. From information about what devices are best working for you to traffic segregation of different Google advertising networks, advertisers can access this information by including tracking settings under URL options. Tracking each click, it’s whereabouts, and following it up is an excellent way of running successful campaigns. Let’s dig in further to understand what AdWords tracking is all about and more about URL options. 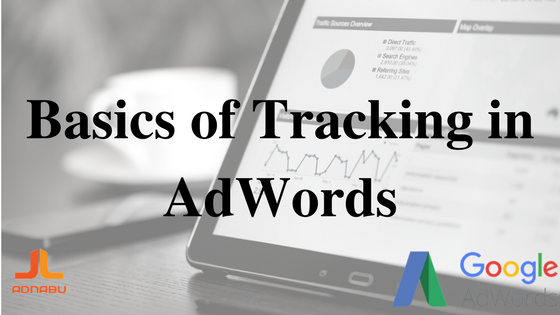 How does Adwords tracking work? Final URL (of ads) is the base of AdWords tracking. Customising your tracking setting is vital because, without tracking, ads direct users are to your landing page URL, i.e. your final URL. With tracking, you can send users who are potential customers to specific landing pages which are rich with information like targeted keywords. Parallel tracking! What’s that? Know about it here itself. URL options are made of two principal parts, tracking template and custom parameter. Tracking template: Tracking template is where you have to fill your tracking information. Each time a user clicks on an advertiser’s ad, AdWords adds tracking information to the final URL. And thus, you generate your landing page URL. Custom parameter: A custom parameter is a type of URL parameter. Advertisers can create it themselves and add to tracking templates and final URLs. Advertisers can create and edit URL options at different levels (account, campaign, ad group, keyword, and sitelink). However, advertisers can update tracking information for URL options at the ad group, campaign, or account level without having to resubmit ads for approval. URL options at the ad, keyword, or sitelink level will need to go through review whenever advertiser makes a change. Advertisers can create tracking templates at the ad group level, campaign, or account level. Google applies this template to all of the ads in that corresponding ad group, campaign, or account. If advertisers define various tracking templates at different levels, Adwords uses the most specific tracking template. The keyword tracking template is the most precise followed by the ad, ad group, campaign, then account. Advertisers can also use the “Test” button to validate the tracking.